When it comes to skincare, the not-so-secret consensus is that the Koreans do it best, so imagine my excitement when I was tasked to try out Sulwhasoo’s Concentrated Ginseng Renewing Treatment facial at its brand new Westgate boutique. Located conveniently at the entrance of the sprawling mall, the store and spa facility is a welcoming respite from the bargain-crazed crowd and screaming kids in the bustling shopping centre. Combining its retail store with the spa facilities, the new Westgate branch is a convenient stop for Sulwhasoo fans. Ginseng has long had its place in Korean traditional medicine for its potent invigorating and anti-inflammatory effects. So what better way to improve vitality in the skin, than by incorporating it into a facial? Paired with jade ring applicators, the facial uses Sulwhasoo’s Concentrating Ginseng Renewal line to aid in self-rejuvenation of the skin in less than half the time. Keeping in line with the theme, the ginseng foot scrub at the start of the facial was a thoughtful addition to the facial. This might be a facial, but Sulwhasoo believes that good blood circulation is fundamental to achieving that elusive glow. 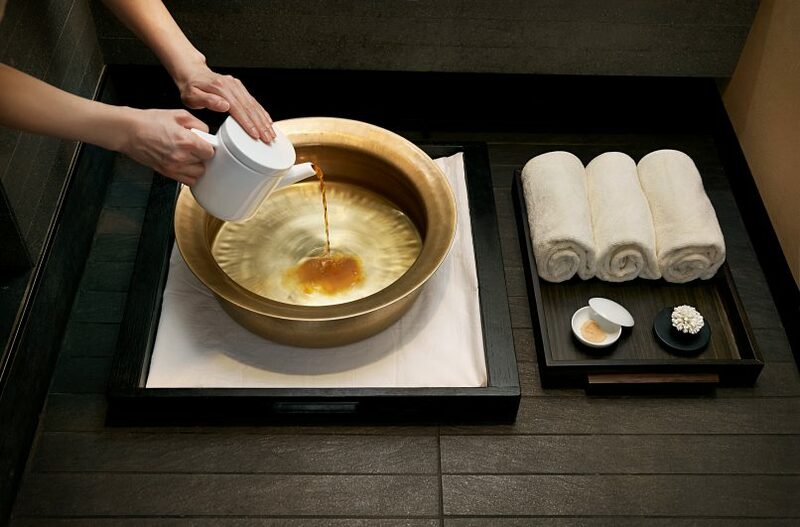 Unusually, the facial starts off with a gentle foot bath using a ginseng scrub and warm ginseng water from Korea to relieve foot fatigue while infusing the room with the warm, comforting aroma of ginseng. Like every respectable Korean skincare regime, the facial is a six-step process that might sound excessive, but works to provide the most out of each product. The experience started with a gentle traditional massage of meridian points on my face with a dry cloth spritzed with one of four chosen scents (called a Sulwhajeong), and I could immediately feel myself sinking into the lightly warmed bed. The scents — plum blossom, pine, white sandalwood and first peace — are inspired by the fragrance of nature in Korea, and can be either calming or invigorating depending on your preference for the day. Sulwhasoo uses a number of its star products for the facial, such as the Gentle Cleansing Oil EX (left) and the Snowise Brightening Exfoliating Gel (right). To ensure that the rest of the products used in the facial are optimally absorbed, a thorough cleanse using the Gentle Cleansing Oil EX is used followed by exfoliation with Snowise Brightening Exfoliating Gel. Keeping in line with the theme of the facial, the latter is chosen for its unique formulation of fine white ginseng and walnut powder to remove excess sebum. 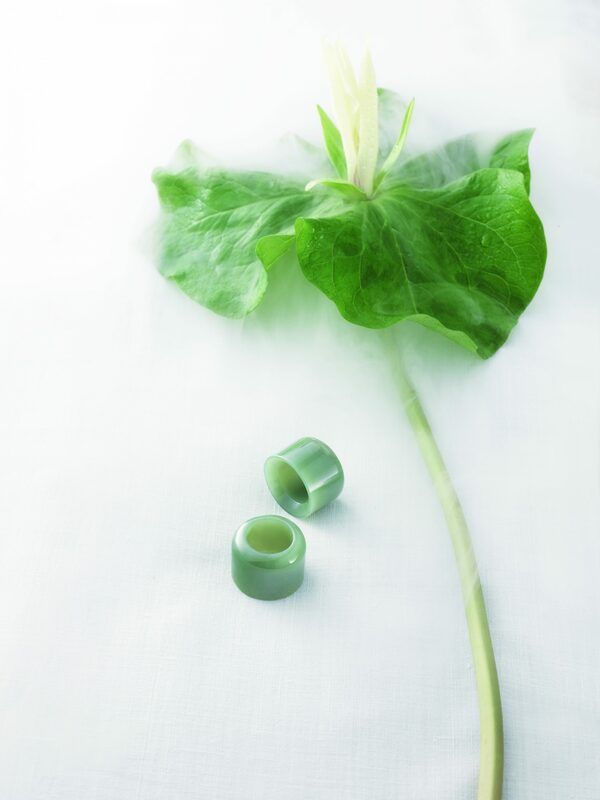 The jade rings help promote a balance of yin and yang in the body with revitalising properties. The therapist then gently applies the signature First Care Activating Serum to the skin to facilitate absorption of subsequent products, such as the Radiance Energy Mask. Containing capsules literally filled with jade (with Sulwhasoo’s Jadesphere technology), the sleeping mask is tasked to provide intensive clarity overnight by removing the skin’s impurities. A décolleté massage released all the tension in my shoulders as the mask set in and the treatment continued after with the Concentrated Ginseng Renewing Cream. The unique jade ring massage technique supposedly helps promote a balance of yin and yang within the skin while preventing skin ageing. At the end of everything, an ampoule — a spa exclusive — is applied under a mask to moisturise. The result is a glow I haven’t seen on my otherwise tired skin for a long time. Massage gently on the skin, the cold jade rings help the products penetrate the skin more effectively while promoting circulation. 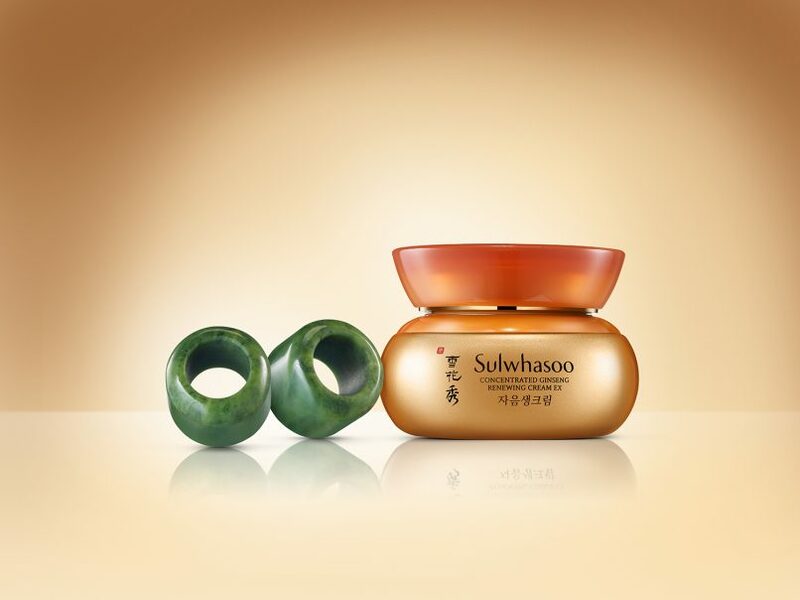 Of course, the treatment is only complete with Sulwhasoo’s Capsulised Ginseng Fortifying Serum. Using “twist pinching” techniques, the finger massage helped give my skin that final boost while promoting lymph drainage for a brighter complexion. Topped off with the brand’s now-famous skincare ritual, I realised the facial is actually a convenient afternoon pick-me-up for the skin, whether it’s in between meetings or just before a formal evening function. Despite being highly relaxing (I drifted off to sleep several times), I left the spa looking and feeling rested and re-energised. But perhaps what surprised me the most was that Sulwhasoo promised a more youthful complexion at the end of this facial, and it actually delivered just that. The Sulwhasoo Concentrated Ginseng Renewing Treatment at the brand new Westgate boutique is 80 minutes long and priced at S$260 per session.